Back to school, kids. Grammar time! Discussion in 'Pokémon Role Play' started by Sem, Jun 20, 2010. Sem Edit: Yoshimitsu originally wrote this post. 1) At the start of a sentence. I'm absolutely appalled whenever I see a sentence start WITHOUT a capital letter. it was a cold day in Cherrygrove city. Without the capital letter, it just looks messy and ugh. 2) Names. All names should have a capital letter at the start. This includes place names (like Cherrygrove) and pokemon names (like Eevee). Even titles such as Gym Leader and Champion, in relation to the game characters, should had capital letters. Even though charles fought his hardest, his charmeleon just couldn't beat violet city's gym leader. 3) When a character is shouting. Not every time a character is shouting, but when you want to get across that the character is shouting especially loudly. This really shouldn't be abused, though. "Give me back my pokemon!" Patrick roared. 1) They should be used to finish a sentence. It ends the sentence off nicely, and allows the next sentence to start. Howard won the battle It was pretty easy actually. Howard won the battle. It was pretty easy actually. Notice the difference? It lets the description get broken up, and it's just common sence and looks tidier. 2) Do not abuse full stops. Seriously, just because you can use them, you shouldn't use them all the time. Remember, conjunctives such as "and" and "but" are just as helpful as full stops. Even commas are useful here. The sky was blue. There were no clouds. There was no chance of rain. This caused Ben to smile. The sky was blue and there were no clouds, so there was no chance of rain, causing Ben to smile. Notice the use of commas to break up the description, and the "and" that connected the first two sentences? It flows a lot better and is much nicer to read. Commas are glorious little bundles of joy in just a few pixels. They are very, very useful, but please don't over use them. The writing gets tedious and confusing to read. 1) Comma sandwiches, so to speak. One really useful thing you can do with commas is what I call a 'Comma Sandwich'. Basically, you put a sentence into another sentence, in between two commas, that could be removed and still make sense. See what I did there? In that last sentence, I wrote "in between two commas". Now, you might notice that it was in between two commas. Now re-read that, but ignore those four words. Does the sentence still make sense? Of course it does! That's an effective use of comma sandwiches. Commas are used when listing things. Very useful, if you ever have to list something. Commas break apart the things being listed so you can tell what's what. Jimmy needed a toothbrush torch flask potion clean underwear and a sandwich. That makes it sound like he wants some crazy toothbrush/torch/flask/potion/clean underwear combination. Jimmy needed a toothbrush, torch, flask, potion, clean underwear and a sandwich. You can clearly tell what each object is, and you don't start thinking "Awesome, where can I get one of those crazy toothbrush/torch/flask/potion/clean underwear combinations?!" 3) Breaking apart sentences. Commas are very good for joining up parts of sentences, and making description flow better. It was sunny. There were no clouds. Even though the weather forecast said it would rain. It was sunny, there were no clouds, even though the weather forecast said it would rain. The only thing to watch out for here is commas sandwiches - just make sure you can spot the differences. Okay, this is where the problems start. Speech is positively abused >>;; I've seen so many cases of poor speech in writing that I'm tempted to just start banning people. 1) A new line for every speaker. This breaks up the speech and makes it much more manageable to read. "How's the egg?" Bob asked. "It's fine," Jon replied. "How's the egg?" Bob asked. You can clearly tell when someone new is talking this way, making it much easier to read and not be confused. 2) When opening a line with the speech, if you intend to put something like "Jared said", you must use a comma when closing speech but before the speech marks. What a mouthful, eh? Look at this. These keeps the sentence going, making it make sense again. 3) Speech starts with a capital letter unless a sentence is broken up by something such as "Sir Nedwar said." If the sentence is broken up, then "Sir Nedwar said" must be followed by a comma. Sir Nedwar approached James. "hey kid, I found this really cool thing," Sir Nedwar said. "that makes pokemon eggs hatch faster!" "Hey kid, I found this really cool thing," Sir Nedwar said, "that makes pokemon eggs hatch faster!" Even if speech is put without a new line, which is allowed under certain situations, it must be started with a capital letter. No arguments. Paragraphing goes here because it's tedious reading through blocks of text. 1) Paragraphing must be used to indicate certain things, including a change of time, a change of scene or a change of character. 2) Paragraphing is also good for breaking up chunks of description. If you're in a battle, and you either dodge or get hit, and then attack, use a paragraph to split up the dodge/hit and the attack. After the first part of description (the dodge/hit), start a new paragraph by hitting our friend the Enter key, next to the # key, twice. Try to not use numbers. Don't put things like 5, 83, 194. Type them out and put five, eighty-three, one hundred and ninety-four. Don't go overboard with any of the above. Try not to go into TOO much detail. We don't want to know that a pokeball is exactly seven point three two centimetres diameter and forty six point nine two centimetres circumference or whatever. It gets boring to read. Just say something like "grapefruit-sized" or something. That said, don't be too lax with detail. Don't just say "it was a specialized pokeball", tell us HOW it's specialized. Is it green? Purple? Designed to only catch fire pokemon? Maybe only works when it's raining? We want to know! Okay, that'll do. If anyone has anything to add, feel free to do so. MegaTrio18, Clite of Dragonbow, Evilsceptile and 8 others like this. This is great, it's sad how many people don't know (or weren't taught!) how to write in a way that's coherent. For anyone who's a beginner, just pick up a book and try to imitate what's going on there! That will cut down on your fellow RPers' headaches a great deal. pokemon names (like Eevee). Even titles such as Gym Leader and Champion, in relation to the game characters, should had capital letters. "City" also needs to be capitalized, since it's a part of the place name. I would argue that you shouldn't capitalize pokemon names and trainer titles. Think about it this way: we capitalize pokemon names because they're trademarks in our world, but in the pokemon world these names and titles would be commonplace. You wouldn't capitalize animal or cat or zebra or firefighter or doctor, so it adds immersion to treat pokemon as being commonplace to your character. I also find that it adds verisimilitude since any text With a lot of Things Capitalized starts to sound less and less like a real text and more like a bad science fiction novel. (It also gets tiresome to be hitting the shift key all the time.) 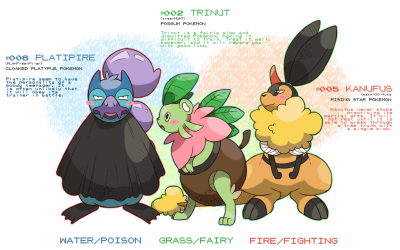 But when you use the pokemon species as a name (i.e. Go Pikachu!) then you should capitalize it. Any time you use an article (a, the) in front of a pokemon name or trainer title it should be left uncapitalized. Similarly, attack names can be left uncapitalized as well. Whatever you choose, though, you should pick one and stick to it. So: "Even though Charles fought his hardest, his charmeleon just couldn't beat Violet City's gym leader." You can do this, but it's actually considered quite tacky and is usually done for comedic effect rather than dramatic. I wouldn't go so far to say that this is something you should do every time. This one is another stylistic choice, but I do like to type out numbers as words myself. I usually type them out as words in dialogue and give the numerals in narration when the character is observing a time, price or reading those digits. MegaTrio18, 33v33_lover, Splashfur and 1 other person like this. Personally, I think we should stick with capitalizing Pokemon names and the Pokemon term itself. It may not function as a proper noun in the Pokemon world, but it does here, and to the readers of the RP. 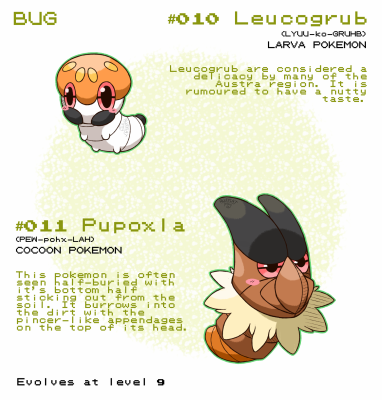 One particular reason we should do so is so that RPers can better identify a trainer's Pokemon because the names in capitals are easier to catch, especially if you're browsing through the posts. Also, lolcaps is what I think to be an accepted manner to express someone is yelling out something, rather than simply adding the 'he/she yelled' comment and people completely missing that. Personally I am loathe to using all-caps to indicate someone yelling - I find it better to use a simple exclamation mark and then description of the character's physcial features or, perhaps, people's reactions to their outburst to imply the severity by which they are yelling. That being said I tend to use exclamation marks sparingly when I can. All I'm wondering is if that was done on purpose. It should save "should have". Did you do that to make a point? Or was it just a simple typo accidentally made on your part? It was potentially a mistake, since I wrote it on the go and didn't proof-read it before posting it. Ps, I wrote this, not Sem. Guys, come on. I don't know what kind of RP you're used to, but we have a high bar here at Charms, and if you can't meet it then you can't really be here. We like grammar, we're big on grammar, you might even say we're Grammar Nazis. Take the time to spell correctly and go over your posts before you post them. A few typos here or there aren't bad, no one will kill you for some typos, but at least try to make a presentable post when you reply to an RP. Don't bold dialogue. I saw a few of you doing that. If you write decently enough and have good structure then you shouldn't need to bold dialogue to make it noticeable. Use paragraphs! Big blocks of text are annoying to say the least. Details. Use them. The posts are too short and would be much better if they had some good detail. Some of you don't even describe what your character looks like, which is unacceptable. Take the time to write posts. I don't mean you need to spend hours on them, but a reply definitely deserves some time, even if it's short. I really just want the quality to go up. Some of you are almost there and only need to step it up a notch. Others need to step it up several notches. Read the rules, then read them again. And please take a look at some of the other RPs here and use them as examples. I haven't handed out any warnings, but if this continues then I will. If you have any questions feel free to ask them here. Here's a list of a few of what Charms considers good RPs. I've never read this topic before... Just giving my two cents on a few topics of discussion. I know where you're coming from, Kel, but I honestly agree with RX here. If anything, using the capitalized names for easier identification isn't a bad thing, and I prefer it when reading posts/fanfics/etc. 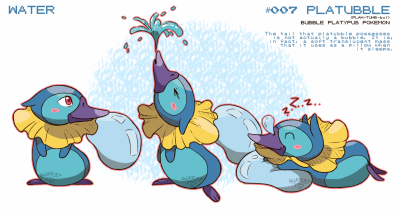 To me, it feels almost wrong reading through stories that don't cap the Pokemon names... But I digress. For RPing purpose, I support capping their names. This I don't agree with. Tatile said it best, although I do think in certain situations all-caps can be effective. The technique should just be used very sparingly and only in extreme circumstances. Quick thing about the numbers: don't you usually type out the numbers 1-10 (including 0) and just use plain numbers for higher sums (such as 100, 83, 54)? We're not going to kill you over how you write numbers. I personally write them out, and I believe it's more professional to do so (though I may be wrong) but this is just a forum so it's your choice really. It doesn't matter. I expect EVERYONE to follow these. Apparently you don't seem too keen on following them yourself. FrostCrispz, 33v33_lover, Splashfur and 2 others like this. Purplesnorlax, I advise you read the rules properly and apply them to your regular posts. It'll help avoid the mangled trainwreck posts like that one. I sorta disagree with the whole "CAPITALIZE ALL NOUNS" thing, like Linkachu. You only capitalize proper nouns. And before you say, "Well, how would you know that?" I write stories in my spare time, so I know my stuff. 33v33_lover, Splashfur and Step~ like this. That's like saying "I do math sometimes, so obviously if I say 2+1=7, I must be right". I don't really think there is a right or way to utilize the ALL CAPS = SHOUTING thing outside of just being reasonable when you use it. For me personally, I think it helps convey a certain sort of emotion that something like "he yelled angrily" wouldn't convey. I probably do have a habit of using all caps quite a bit, probably more than I "should", but to each their own. As for capitalizing proper nouns only, most of the Pokemon names are... well, proper nouns anyways? Or are introduced to us as such. My starter was a Bulbasaur, I caught a Noibat the other day, etc. I'm not sure I really understand what your argument is. 33v33_lover, Splashfur and Andrewski like this.